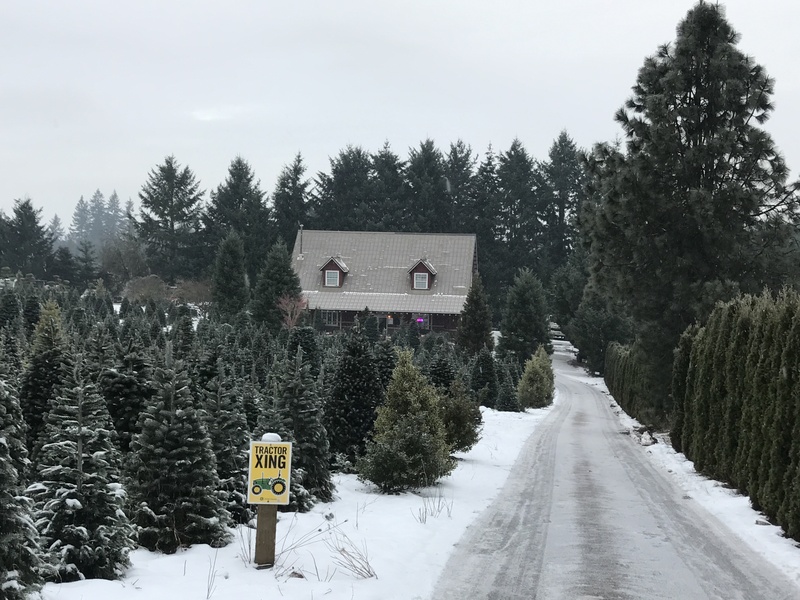 We have a huge selection of U-cut or We-cut Noble and Nordman fir Christmas Trees! Make your holiday tradition a trip over to Kraxberger Farms, and have some cider and hot chocolate, visit Santa, and enjoy a hay ride! We-cut or U-cut Christmas Trees! You can grab a saw, and jump on a hay ride to take you to our trees in our lower field for even more fun and selection, and what a selection! All sizes up to 16 feet high! Our helpful and friendly staff can shake and bail your tree for only $1.00 or you can use our VIP service and just point at the tree you like and our staff will do the rest for only $10.00 Per tree. Bring the whole family and enjoy some hot chocolate and hot apple cider! For $1 this cider is brought in from Hood River and is the very best tasting cider ever! And even though he is running the toy factory and is so very busy, Santa is NOT too busy for the kids. See him here, at his special guest appearances! Our U-CUT Christmas Tree Lot will be OPEN for your holiday season. We have lots of beautiful evergreens at our Nursery that can make your home or business beautiful for Christmas, or YEAR ROUND! Our hope is that you will join us for Christmas again next year as well!